For the past two years, the alleged Russian interference in the 2016 US general elections has dominated discussions in the political landscape of the United States. With Democrats accusing the Trump campaign of colluding with Moscow to rig the elections, an accusation President Trump and his government continue to deny. An enquiry led by Special Counsel Robert Mueller, a former director of the FBI, was instituted by the Department of Justice to look into the collusion allegations and also the alleged obstruction of justice by the President after he fired the then FBI Director, James Comey. This enquiry has been described as one of the high profile political enquiries in the history of the US. But, for President Trump, it is a mere political witch hunt. However, on 22nd March, 2019, the report of the Mueller enquiry was submitted to the Attorney General, William Barr and in his summary of the report to congress, Mr. Barr stated that, the enquiry did not establish a collusion between Trump’s campaign and the Russian government in the alleged election interference. He further concluded that, though not exonerated, the enquiry did not find enough evidence of obstruction of justice against President Trump. 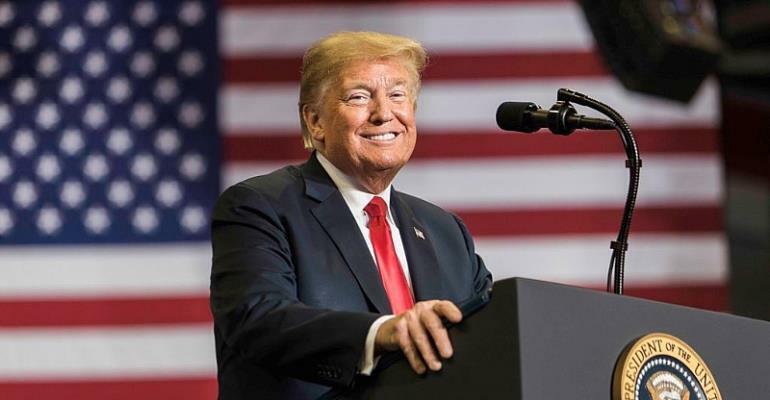 Despite the ensuing controversy and debate following the Mueller’s report coupled with the call by the Democrats to make the full report public, what is clear is that President Trump has triumphed in this enquiry and will not be subjected to any impeachment process as anticipated by many. Indeed, this report is of high political significance for President Trump, especially ahead of next year’s elections. Though the past two years saw the Trump administration as overtly not too much bothered by this enquiry, interestingly, it was actually their major headache. The uncertainty and anxiety surrounding the investigation was so intense to be ignored, especially after the indictment and charging of Trump’s inner circle members like Roger Stone, Paul Manafort and Michael Flynn among others. Therefore, this report has given a huge relief to the Trump administration. For now, President Trump and his team can have the peace of mind to deliver on their mandate without having to worry about a possible indictment from Special Counsel Robert Mueller. In addition, this enquiry, though the most high profile, was not the only one President Trump is facing both at the federal and state levels. Some other investigations are; investigations by the US Attorney for the Southern District of New York, investigations by the US Attorney for the District of Columbia, the investigation by the house oversight committee on links between Trump associates and Russian officials among many others. However, this report by Mueller will have an impact on the public’s perception about all these other enquiries. The credibility and motive of such investigation and future ones will be questioned by many. Indeed, President Trump has always maintained that the enquiries are politically motivated, and described himself as the most ‘persecuted’ president ever. Therefore, if an investigation led by a well-respected person like Robert Mueller finds him ‘innocent’ of the accusations, then many objective minded people are likely to buy the story that he was being ‘persecuted.’ Could that not end up earning him some political sympathy? The trickledown effect of all these is that, President Trump’s 2020 re-election bid has been given a massive boost. This investigation was the biggest weapon against him going into the 2020 elections. For two years now, his opponents have maintained that, he was not validly elected by the American people and that he colluded with Russia for his victory. So, this outcome will not only energise his already very loyal support base; it has also given him some credibility that has the potential to attract support from some floating voters. This is a very significant political victory for President Trump. His opponents who do not want to see it as such or want to downplay its significance may do so at their own political peril.